Ladybug Pest Management is a full service Pest Control Delaware management company. Locally owned and operated, we service all commercial and residential accounts and use the most effective and safe pest control products to ensure that our customers are getting the highest quality services that they need. We specialize in Bed Bug services along with Delmarva's Own Daisey & Dolley – Certified Canine Scent Detection Beagles. However, we are able to treat all Delaware pest control problems such as general pests/occasional invaders, termites, roaches, spiders, etc. We look forward to conducting business with you! 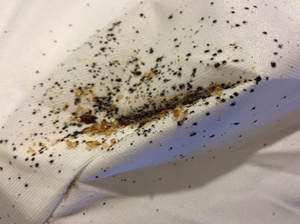 Frank and Sandy Honess are bed bug specialists that are guaranteed to eliminate your bed bug problems. No one else in pest control Delaware offers the knowledge, understanding, total commitment, and promptness quite like Ladybug Pest Management! Ladybug Pest Management provides pest control solutions to help eliminate and prevent all general pest issues such as ants, spiders, wasps, hornets, beetles, cockroaches and all occasional invaders. Termites can be a constant threat to your home. Often called a "silent destroyer" because they have the capability to be concealed within your home without any instant discovery of damage. Ladybug Pest Management offers services to prevent termite damage within your home which include: termite inspections, termite preventative treatments, and WDO - Wood Destroying Organism Reports for home purchases. 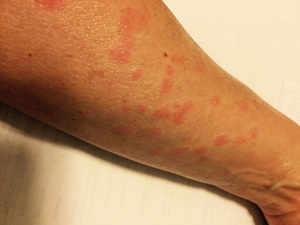 Prior to any treatment, Ladybug will provide instructions and/or a preparation checklist for you to review. Ladybug offers monthly, quarterly, bi-annually, tri-annually and yearly agreements. One time services are available, as well. We personalize the service agreement to each individual customer, to best fit your pest control service needs!